What happens when an intensively farmed estate is handed back to nature? 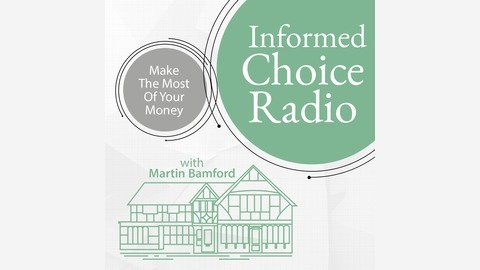 In this episode of Informed Choice Radio, something a little different. I recently had the opportunity to speak to the award-winning nature and travel journalist Isabella Tree about the Knepp Experiment. Isabella, along with her husband, the environmentalist Charlie Burrell, are custodians of the 3,500 acre Knepp Castle Estate in West Sussex. She's author of the acclaimed book Wilding: The return of nature to a British farm. In Wilding, Isabella Tree tells the story of the ‘Knepp experiment’, a pioneering rewilding project in West Sussex, using free-roaming grazing animals to create new habitats for wildlife. Part gripping memoir, part fascinating account of the ecology of our countryside, Wilding is, above all, an inspiring story of hope. So how did this interview come about? A while ago, Nick went on a butterfly safari at Knepp. He often talks to his clients about it, and recently we purchased a copy of Wilding for a couple of clients. Nick then suggested we approach Isabella to ask if she would join us on the podcast. From a personal perspective, as chairman of the Knowle Park Trust, I was interested to learn more about the role of humans in encouraging and supporting wildlife to an area. 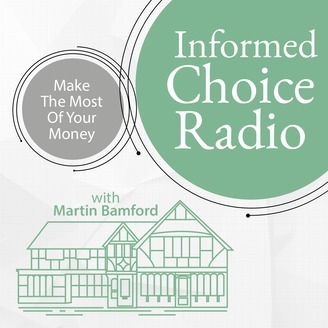 There's a personal finance angle here too! As you'll hear in this episode, Issy and Charlie were massively in debt when they make the decision to re-wild Knepp. The transformation of their farm has created some interesting new revenue streams and employment opportunities too. Without further ado, here's my conversation with Isabella Tree, author of Wilding.